The Mason Enterprise Center offers expert consultation and training to the region’s small business owners and entrepreneurs through a wide array of programs. MEC sponsors conferences, workshops, and executive education programs for the region’s business leaders. The Mason Enterprise Center has four regional offices that offer affordable office space as well as expert support and counseling to small companies just starting to take root. The Virginia Small Business Development Center (SBDC) Network, is the largest and most effective provider of customized counseling and education for small businesses in the Commonwealth. You can meet in private with a certified business analyst to discuss your specific issues. Or you can attend small-group trainings for in-depth presentations on critical management topics. 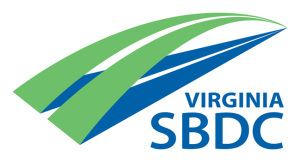 The Virginia SBDC Network is a strategic alliance between the U.S. Small Business Administration, George Mason University, and local sponsors throughout Virginia. These vital partners include universities, community colleges, chambers of commerce, municipalities, economic development organizations, and private companies. Listed below are the centers in Northern Virginia. For a complete list of centers visit http://www.virginiasbdc.org/locations/. Created in 1995, The Community Business Partnership is a non-profit 501(c)(3) organization whose array of programs provide a complete resource center for training and support to those seeking to build successful small businesses. Targeted towards women, minorities, and low-to-moderate income individuals, CBP offers a one-stop shop for small businesses. The Procurement Technical Assistance Program (PTAP) is a Defense Logistics Agency and George Mason University cooperative agreement to provide assistance to increase contracting and sub-contracting activity among small businesses, major prime contractors, and federal, state and local government. Its services include counseling on business and proposal development, small business programs, program management, and other procurement matters, as well as market research, outreach, and educational programs. The International Business Development Program (IBDP) offers a selection of targeted programs to assist both US and international small-and-medium information-technology enterprises develop international business. We have a three-stage program of consultation, international market planning, and business partnerships. Our approach is customized to prepare and promote companies for the achievement of practical business results in key IT marketplaces around the world.